Sensory bottles have many names, calm down bottles, sensory bottles, discovery bottles, and sensory jars. 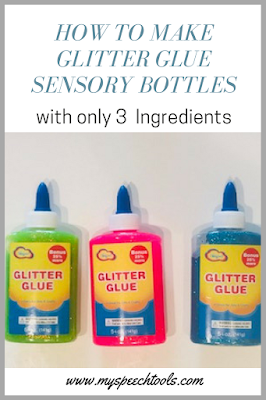 It's safe to say that sensory bottles have become my go-to for children who need an opportunity to process their emotions and anxiety, and organize their sensory system in a way that is meaningful and appropriate. Sensory bottles can be used at home, in classrooms, clinics, after school programs, and therapy rooms. Children with ADHD, sensory processing disorders, language disorders, autism, and behavior disturbances can all benefit from using sensory bottles. The key is to create one that the child will engage with. In this post I want to share how to make the perfect glitter glue sensory bottle. (Amazon affiliate links are provided). You can find glitter glue on Amazon, Dollar General Store, Wal Mart, or Target. It doesn't matter what brand of glitter glue you use. Just pick a FUN color to work with. You can use a generic brand of hand soap, but be sure to use the iridescent (pearl-like) soap and not the clear hand soap. I recommend you use fine glitter in your bottle because it sinks slower to the bottom when mixed. Squeeze the entire bottle of glue into the bottle. Pour half of the 7.5 oz Soft Soap into the bottle. Fill the bottle with HOT water leaving about 2 inches from the rim. 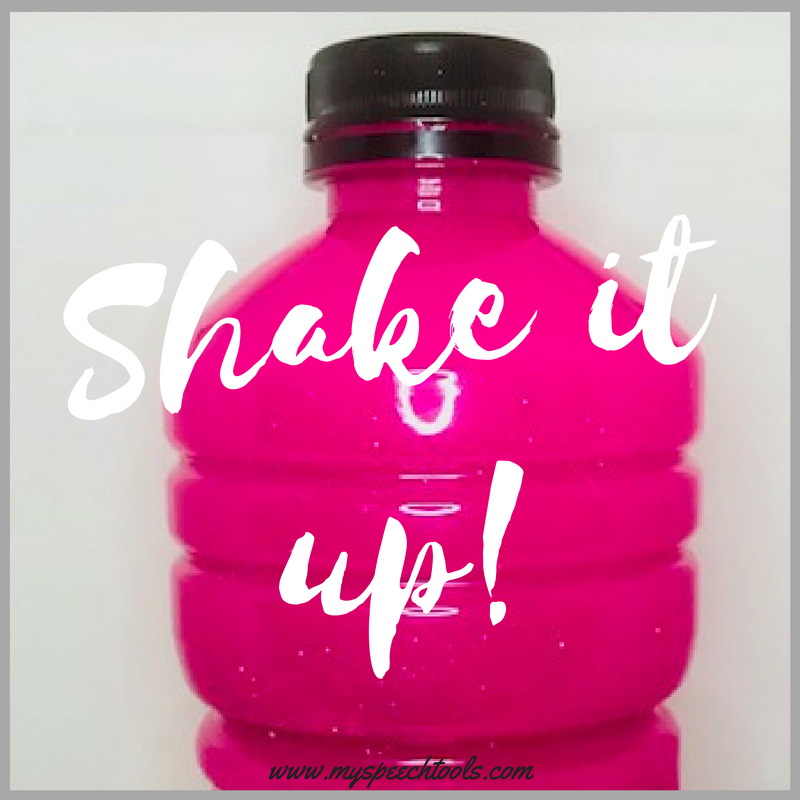 Put the lid on the bottle and shake it until the glue is completely dissolved. This may take a few minuets since the glue tends to clump up when mixed with water. Take the lid off and add the glitter. Top off the bottle with water, letting it slowly overflow the soap bubbles until they are gone. Add some hot glue or Super Glue to the inside of the lid and twist it back on the bottle. One of the most important steps in making these glitter glue bottles is using HOT water. If the water is not hot enough, the glue will not dissolve in the water and you will end up with clumps of glue floating around in the bottle. Experiment with different size recycled bottles. 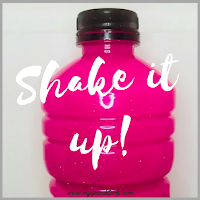 My younger clients prefer the 4 oz water bottles since they are easy to hold and shake. Older students prefer heavier and larger bottles, such as Gatorade bottles, they can shake with two hands. Below are photos of the glitter glue I found at Dollar General Store ($1 each), glass beads from Dollar Tree and a pink glitter glue sensory bottle I made using a recycled Gatorade bottle. Amazon also has several colors of glitter glue specifically made for Slime and Sensory Bottles. (Amazon affiliate links are provided). Link below to read previous blog posts on how to create seasonal sensory bins. Visit my Teachers Pay Teachers Store HERE.